It’s that time of year, where I become the most popular member of the WPT Team! Every February we’re busy working on over 100 tax returns for our partnerships and trying to get Schedule K-1s out to the Partners as quickly as possible. For most of our new Partners, it’s their first time receiving Schedule K-1s, accounting statements and capital call invoices. This can be pretty overwhelming! With eight years under my belt at WPT, I can easily share answers to the most common questions I receive with the first round of accounting statements and capital call invoices. Here we go! Statements are prepared quarterly when a horse begins racing or turns 3-years-old, whichever occurs first. If a horse runs as a 2-year-old, there will only be purse earnings, race-related expenses, and sometimes distributions. All other expenses were included in the original syndication price. 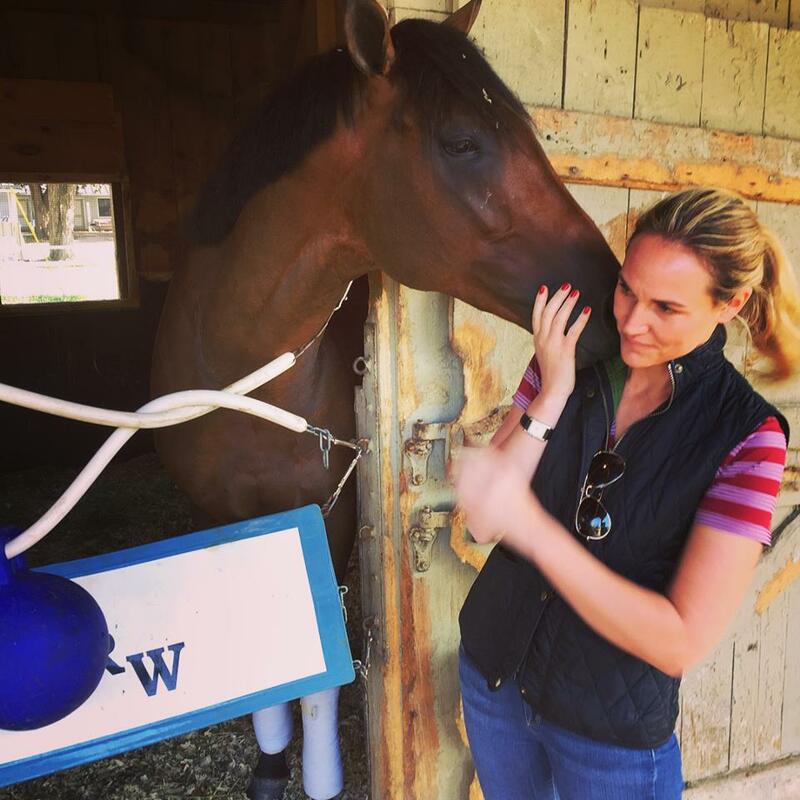 Once the horse enters its 3-year-old year, the partnership is responsible for the daily training, board, veterinarian, insurance and other maintenance expenses. Also beginning with this year, the partnership account is evaluated on a quarterly basis for potential capital calls. The calculation is done approximately 45 days after the end of the prior quarter (i.e., February 15th for the 4th quarter of the prior year and May 15th for the 1st quarter of the current year). We bill the partnerships halfway through the current quarter. All of the statements are posted on the website and are located under the “Financials” section of the website. Hardcopies are always available; please email me to receive a copy in the mail. 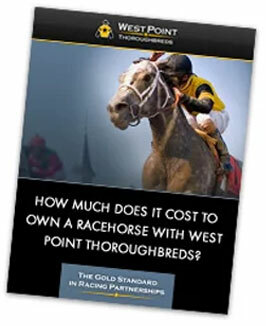 – Accounting statements reflect the West Point LLC’s ownership in the horse, not the individual partner’s ownership. The WPT LLC’s ownership percentage, if different than 100% of the horse, is indicated next to the horse’s name. o Veterinary expenses vary per horse – the calculation is based on the prior quarter actual expenses and the horse’s training status at the time the statements are being prepared. o Other represents the estimated vanning and one-off expenses incurred during the year. For Q1, this includes the cost of the tax return preparation fees which are paid in March. o Purse money earned through the date the statements are prepared is factored into the calculation, to reduce capital calls to the LLCs. Invoices are generated within a week of the accounting statements being posted to the website. 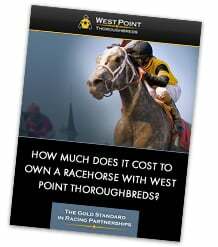 Each Partner receives one invoice with all of the horse(s) they have an ownership stake in. These statements are emailed directly from the billing software. Hardcopies are always available; please email me to receive a copy in the mail. – The first page of the invoice summarizes the Partner’s share of the capital call for each horse(s) listed. – On the second page, the capital call for each horse/LLC is listed, with the ownership percentage in each horse. o PLEASE NOTE: The ownership percentage shown on this statement is the ownership in the LLC. For example: if the LLC owns 50% of the horse, a partner’s 5% investment is the horse is equal to 10% of the LLC. The 10% ownership will agree to the ownership percentage on the original documents received at the time of purchasing the interest in the horse. This percentage will also agree to the Schedule K-1 ownership percentage. – Partners may elect to have any distributions made throughout the year applied to their training account/future capital calls. All you have to do is respond to my email asking for the distribution to be held on account! See you at the Paddock Bar in Saratoga!